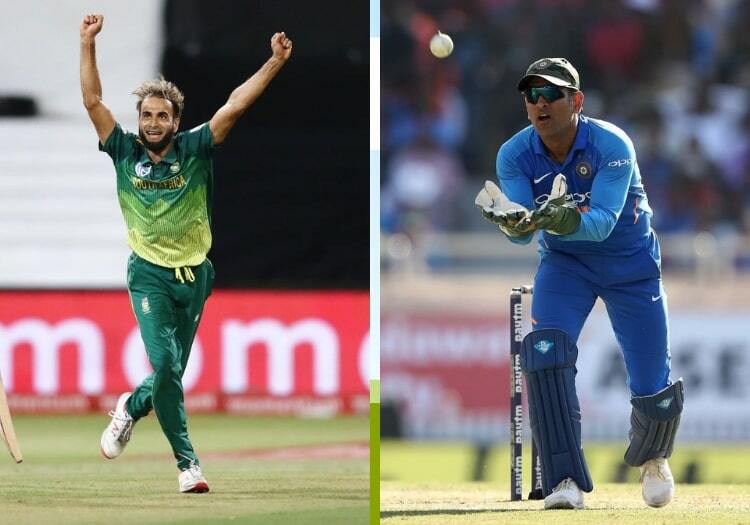 Imran Tahir has identified MS Dhoni's shrewd as the key to his match-winning 4-27 in Chennai Super Kings' five-wicket success over the Kolkata Knight Riders. The 40-year-old decimated the KKR middle-order, dismissing Nitish Rana, Robin Uthappa, Chris Lynn and Andre Russell across his four overs, to restrict them to 161 for 8. Suresh Raina's 58 from 42 guided Chennai home with two balls to spare to send them top of the Indian Premier League table with seven wins from their eight games. Tahir set the platform for the successful chase, however the Man-of-the-Match was unwilling to take all the credit for the display - despite achieving the sixth-best figures of the competition so far. "I just bowled according to the captain’s instructions," he told reporters. "It’s always beneficial taking advice from Dhoni. "He’s helping me a lot. It’s an absolute pleasure and the credit goes to him. "There are few things which he tells me like where I need to bowl, which area and where the guy is going to hit. "It’s working and I’m just loving it. We are playing good cricket. We respect each other and enjoy each other’s success. "Those were small things. He tells me like this guy is trying to hit in this area so I bowl accordingly. "I am an attacking spinner and want to take wickets and he allows me to bowl that way."